In the heart of Boston's Back Bay lives the soul of authentic Mediterranean cuisine. 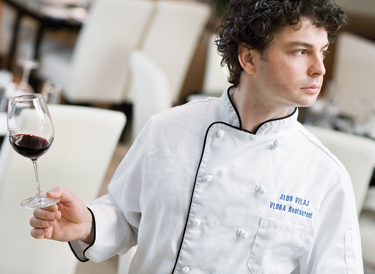 Vlora, named after Chef/Owner Aldo Velaj's hometown in Albania, opened to the public in Fall 2007. With a menu brimming with old family recipes and unique versions of traditional favorites, Vlora embraces the true Mediterranean lifestyle. The dishes reflect the age-old adage of "eat better and live better." Believing that food should taste like food, the natural tastes and flavors of the freshest ingredients are enhanced primarily with olive oil and fresh herbs. With an emphasis on freshness and a minimalist cooking style, the naturally healthy menu covers tastes from the Northern Mediterranean region encompassing Southern Italy, Greece and Albania. The menu and wine list are an extension of the flavors and dishes served in Aldo's own home, including exclusive hand-picked wines and lovingly prepared signature dishes that are unmatched in the city. Vlora features an extensive array of small plates and sides, allowing guests to sample and share, eating the true Mediterranean way.